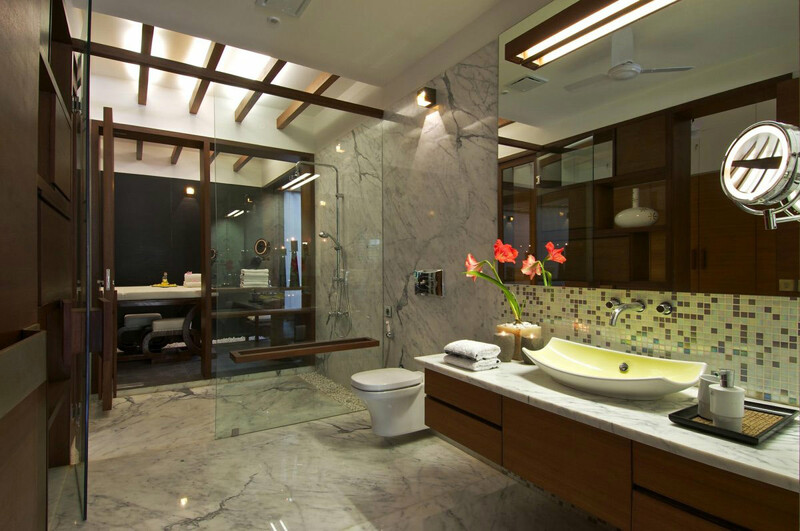 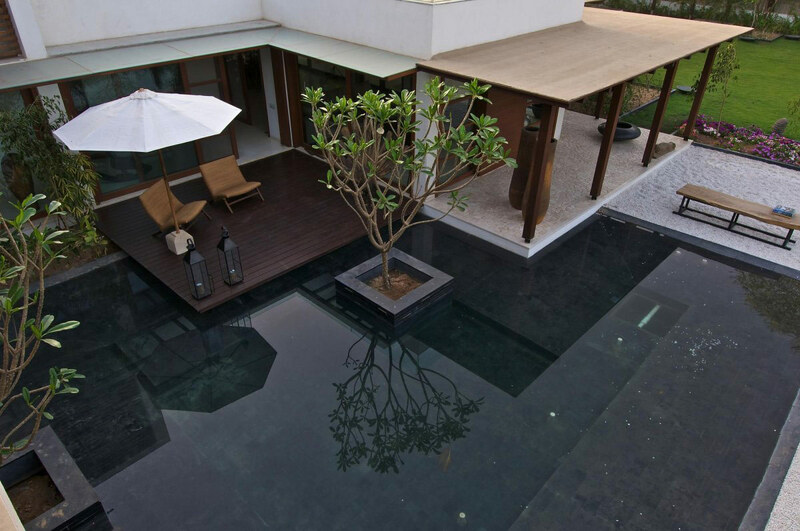 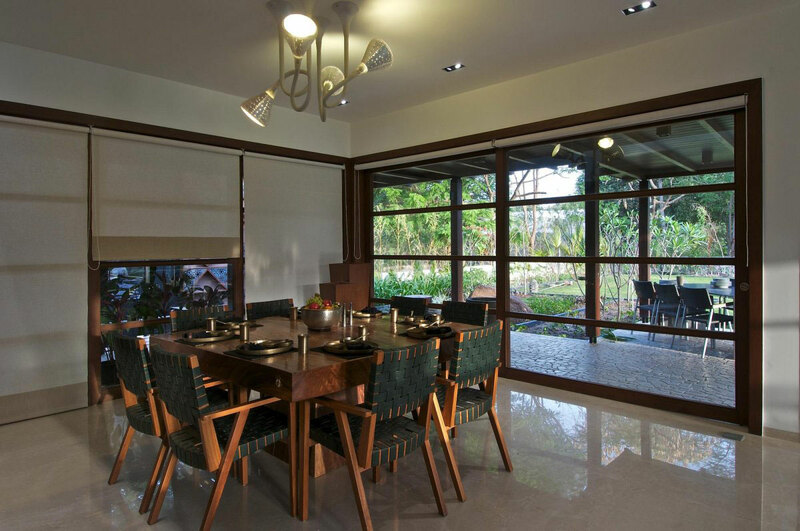 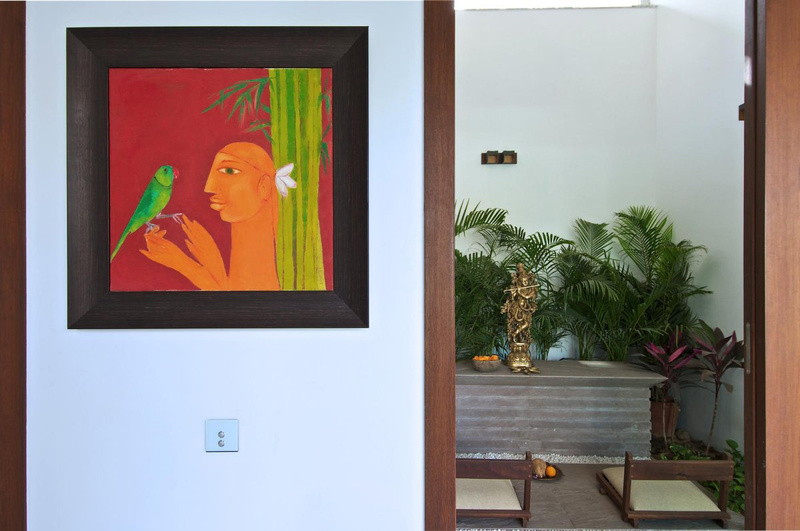 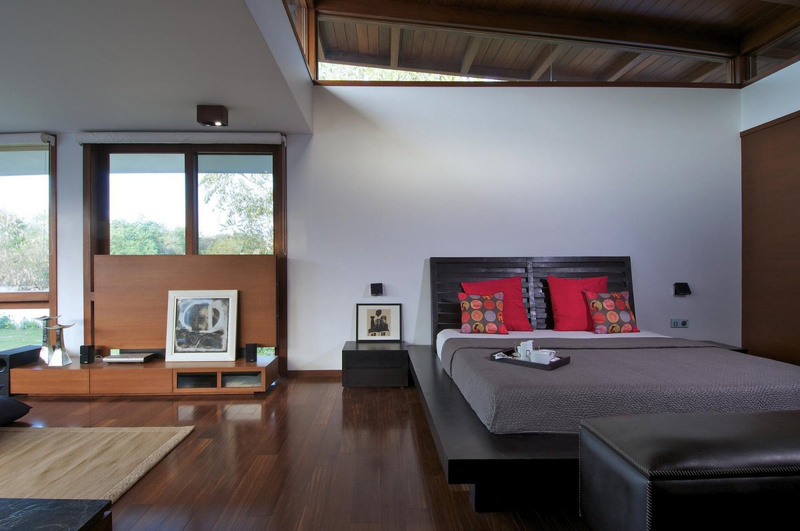 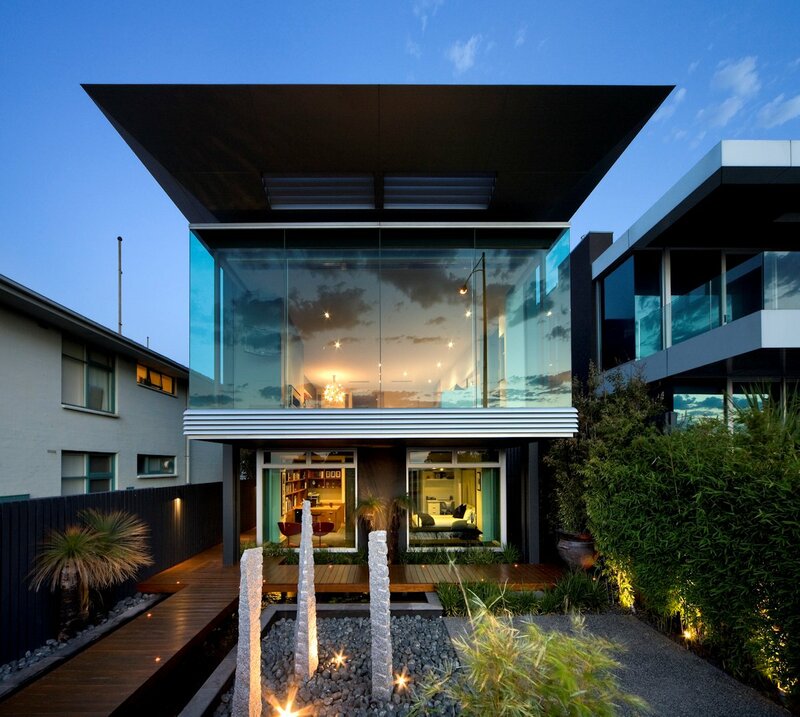 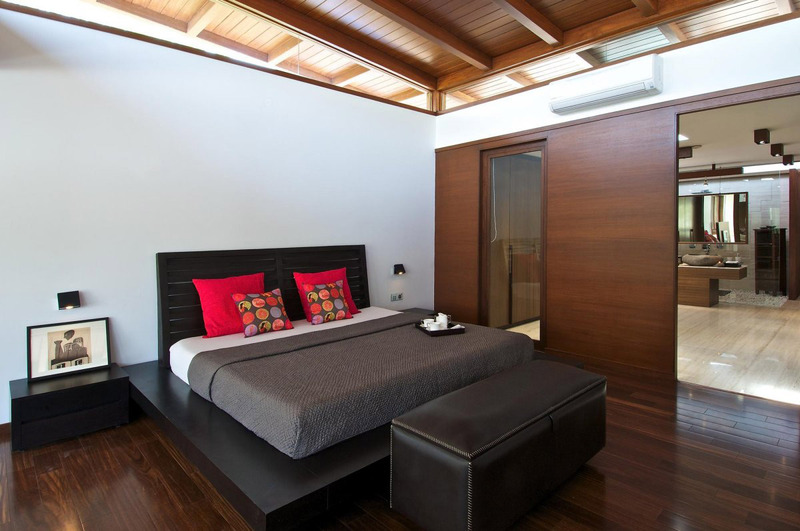 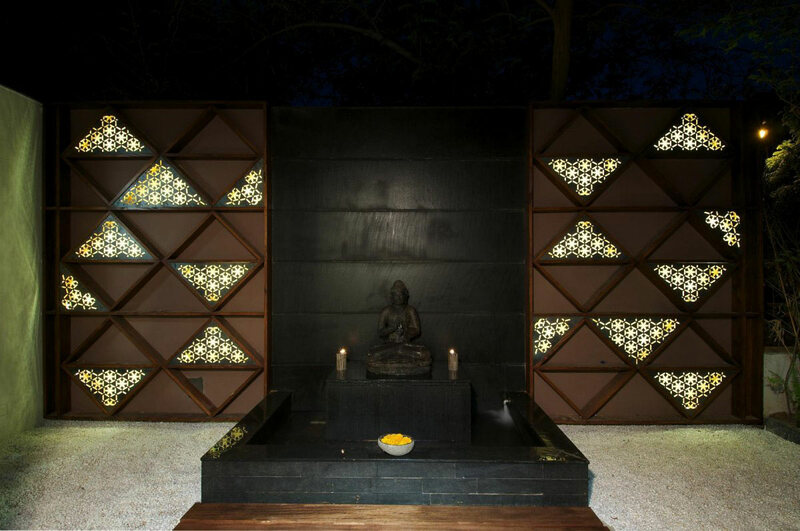 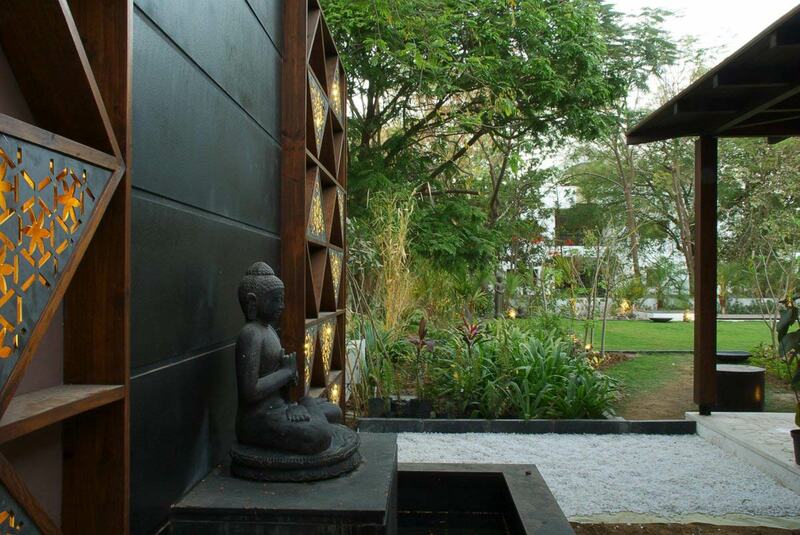 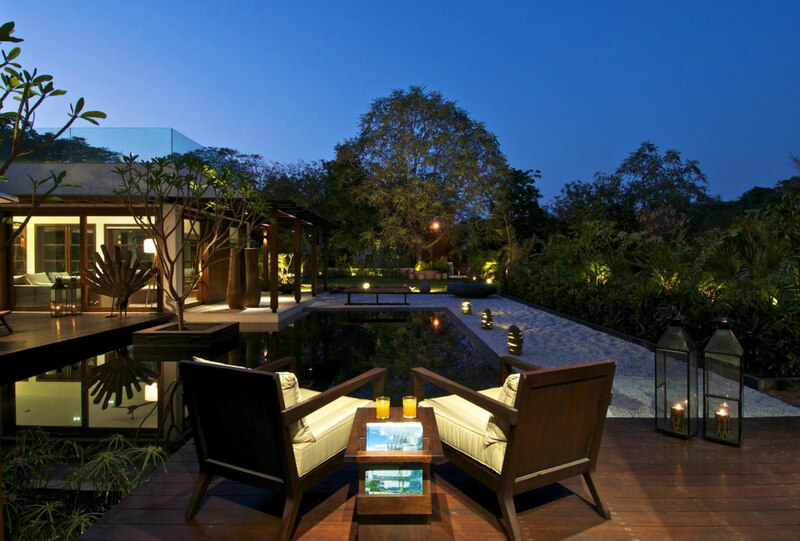 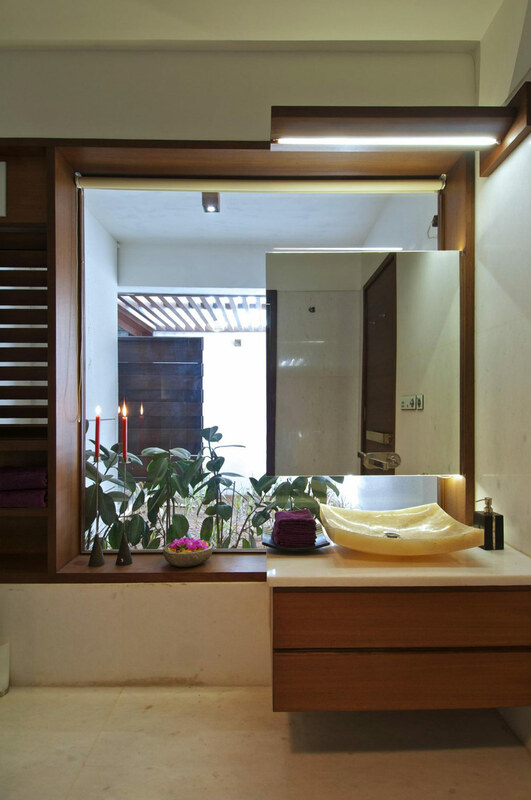 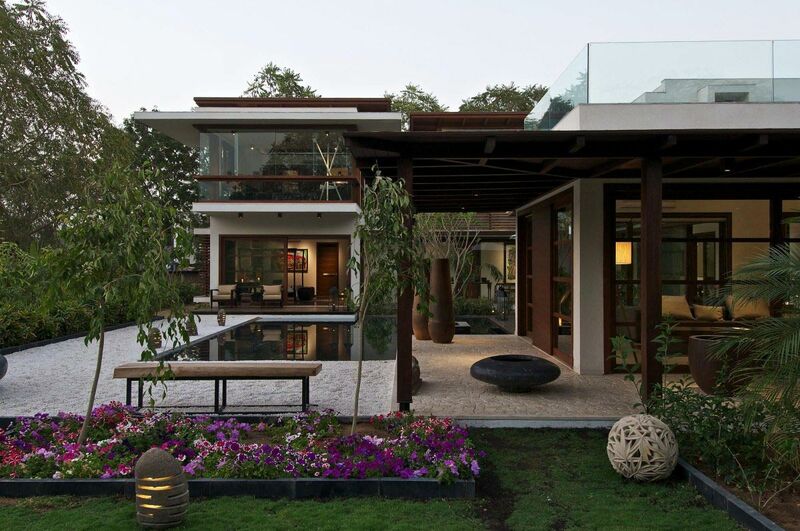 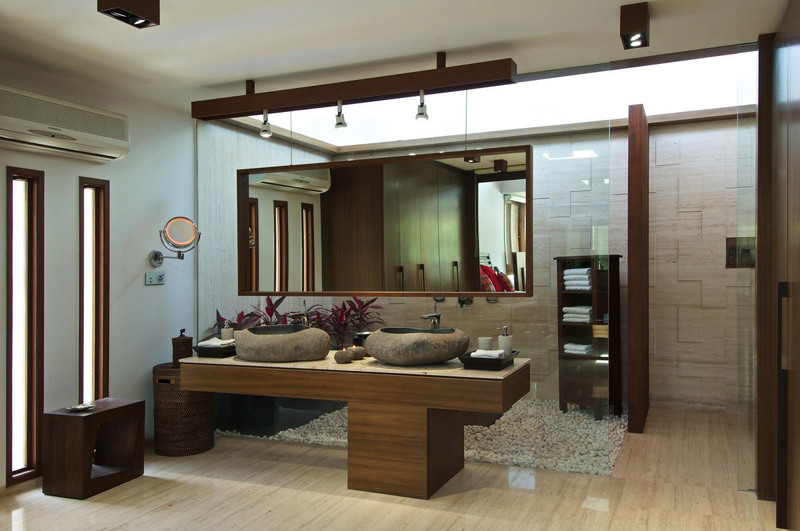 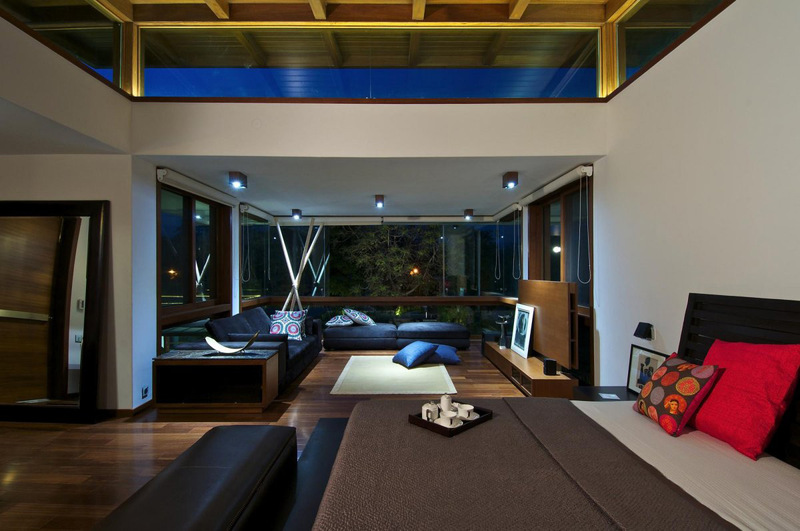 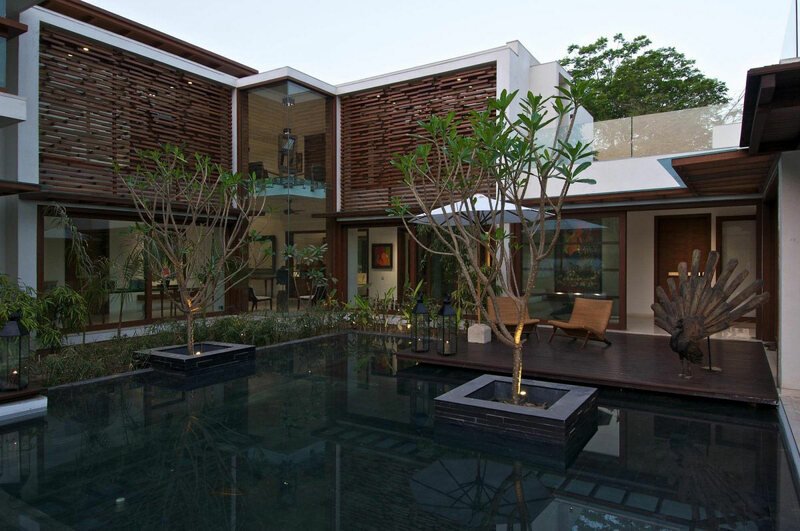 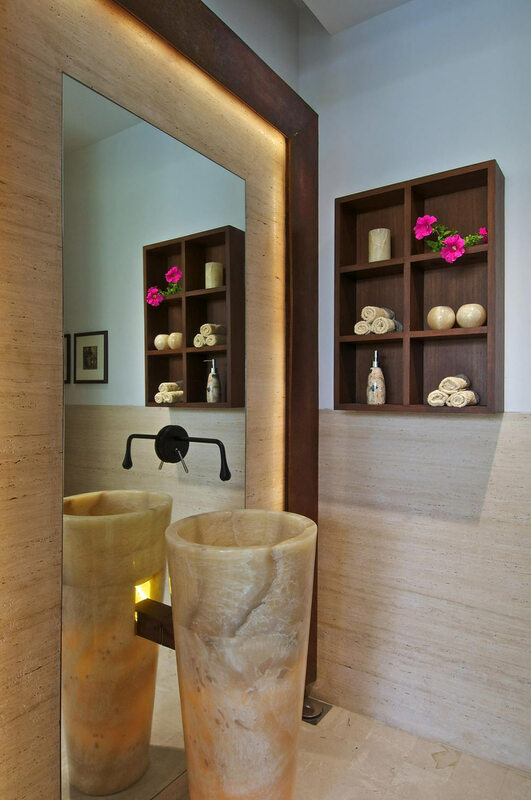 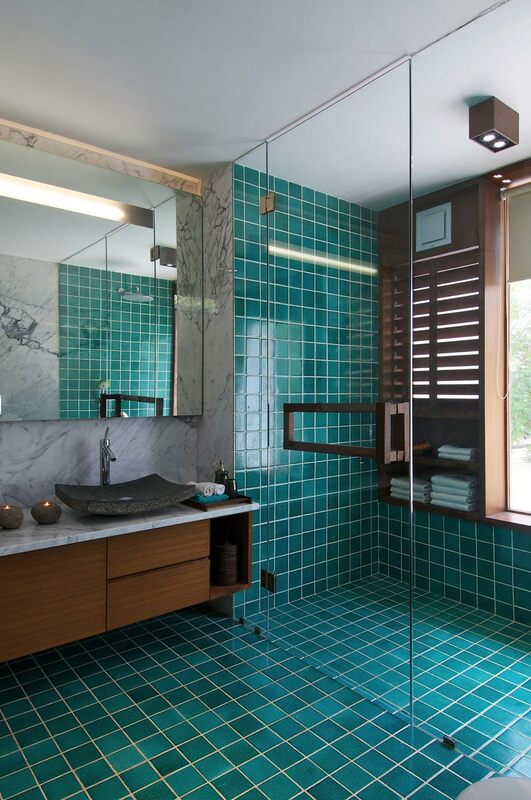 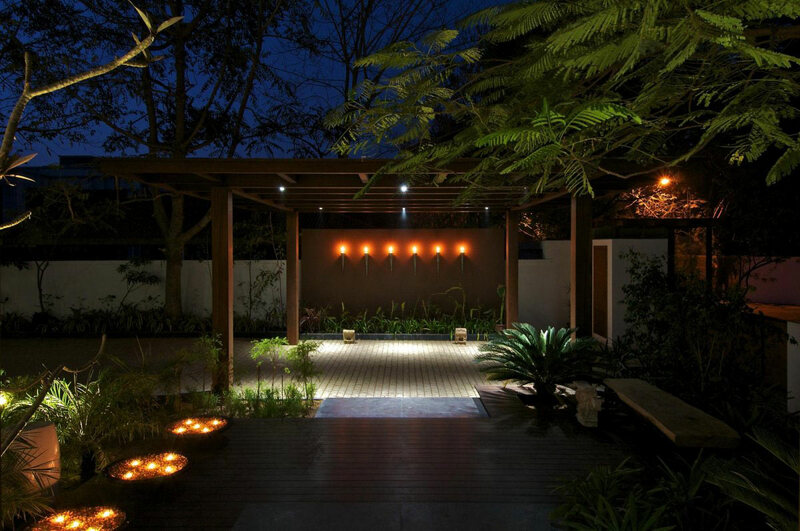 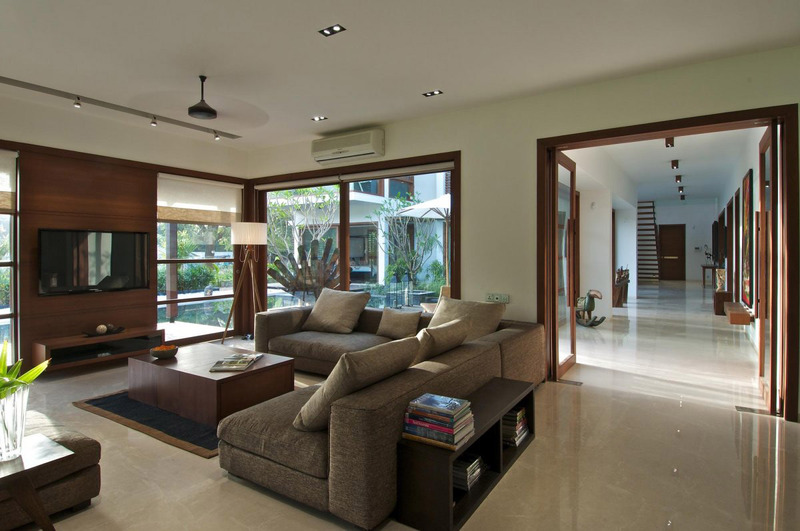 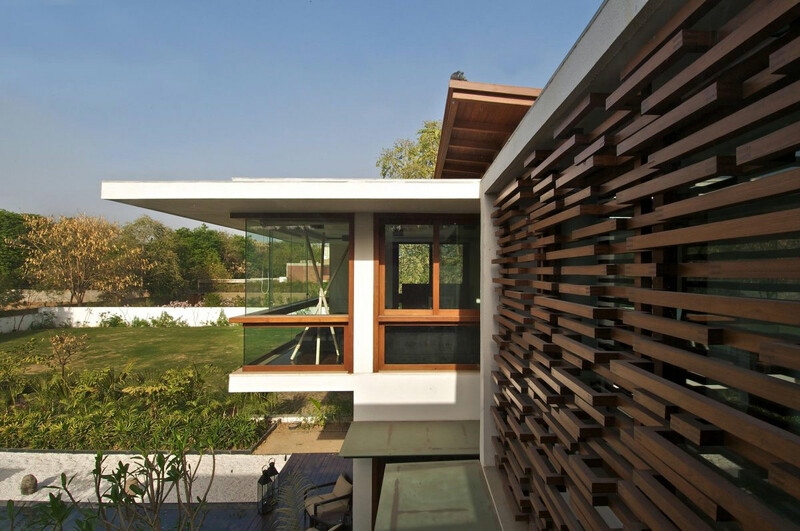 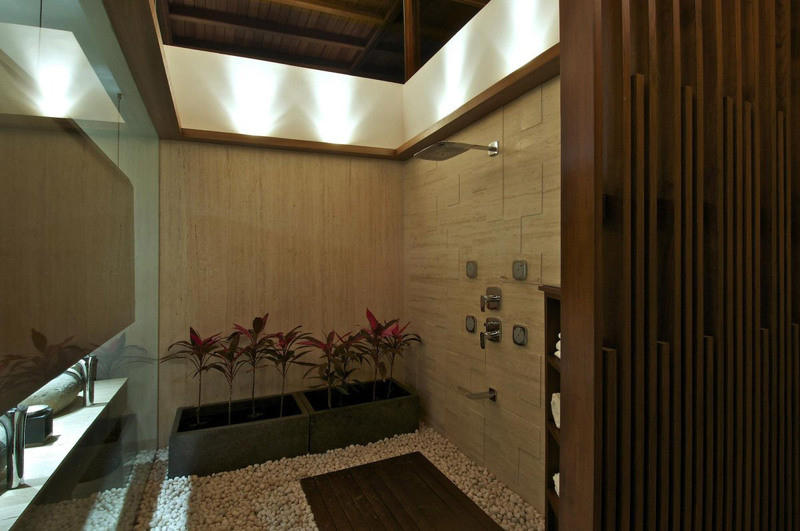 The Courtyard House was completed by the Ahmedabad based studio Hiren Patel Architects. 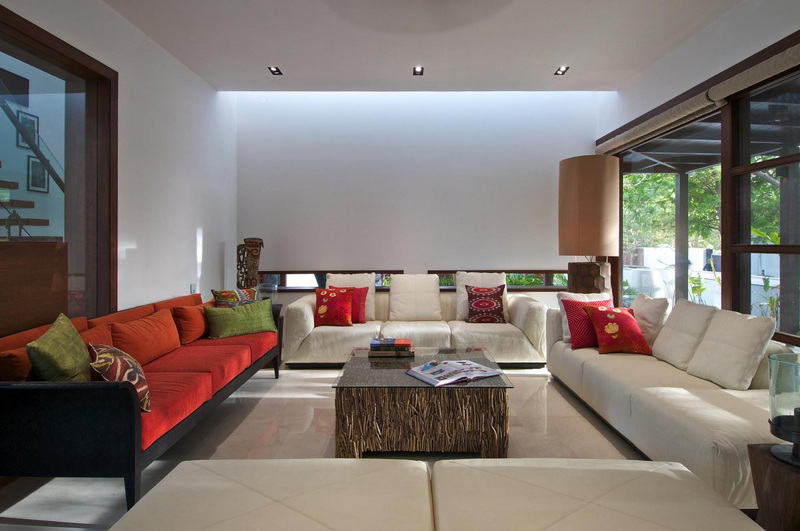 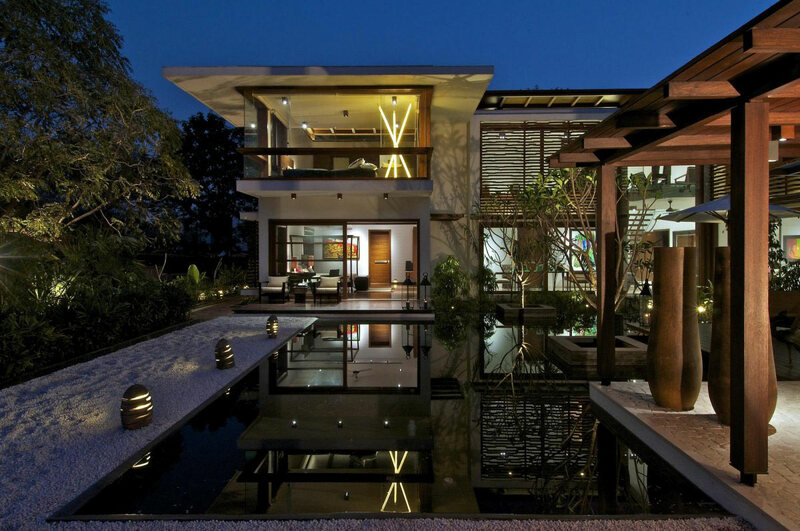 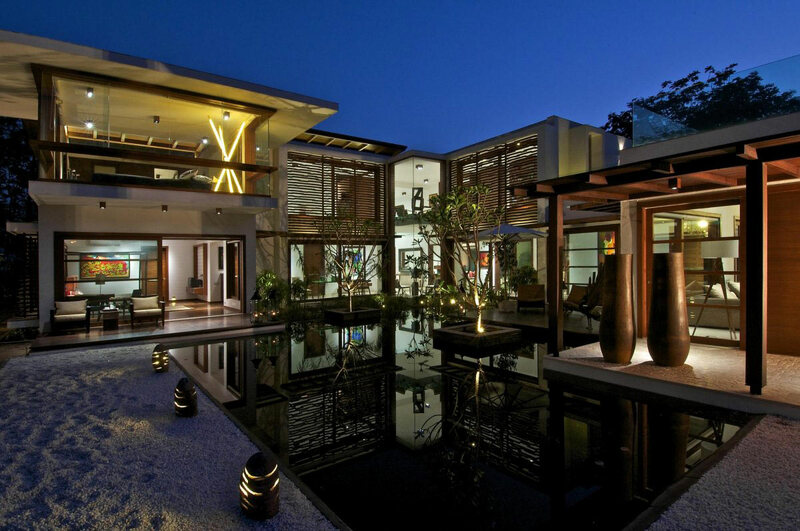 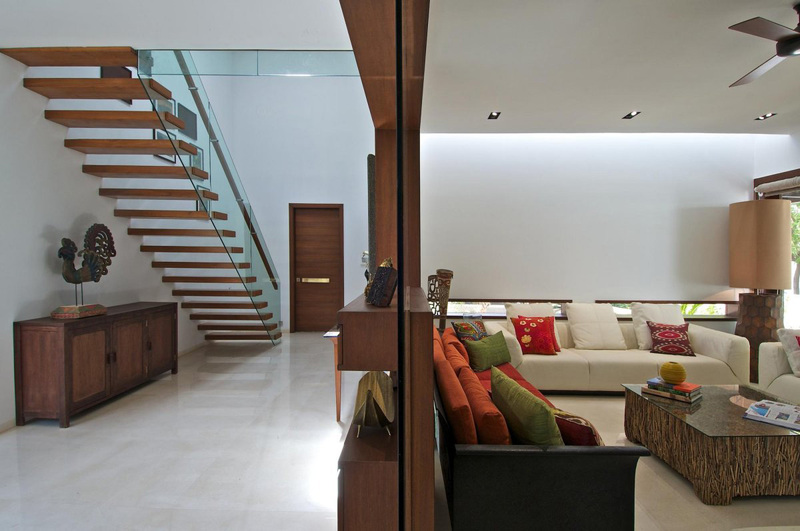 This contemporary family home is located in Ahmedabad, Gujarat, India. 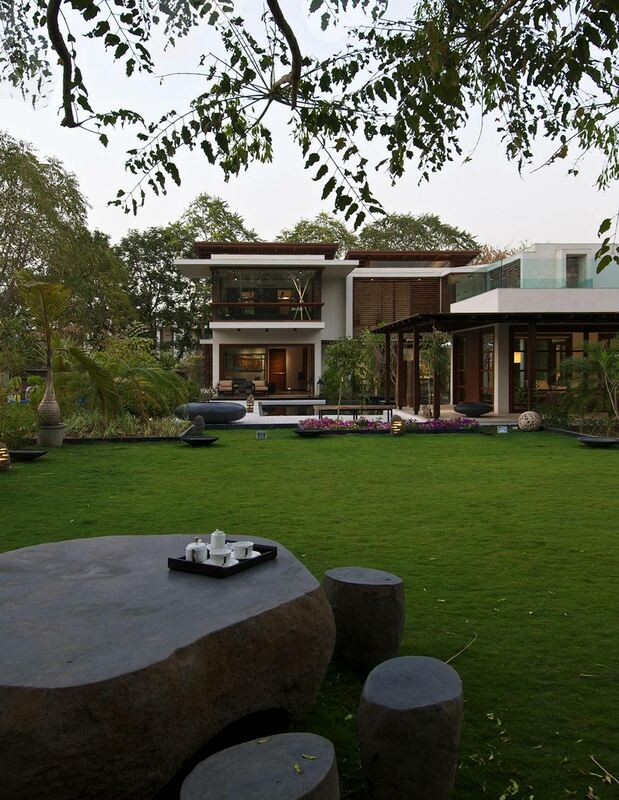 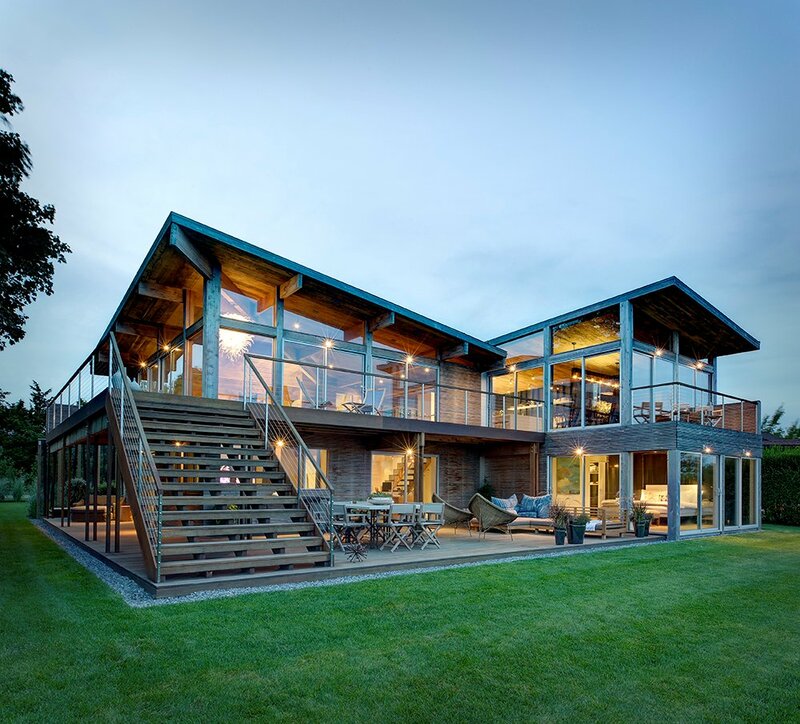 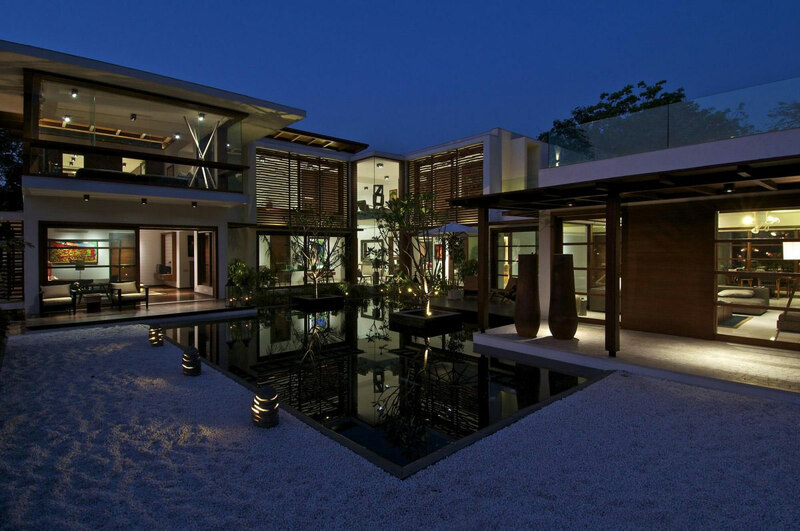 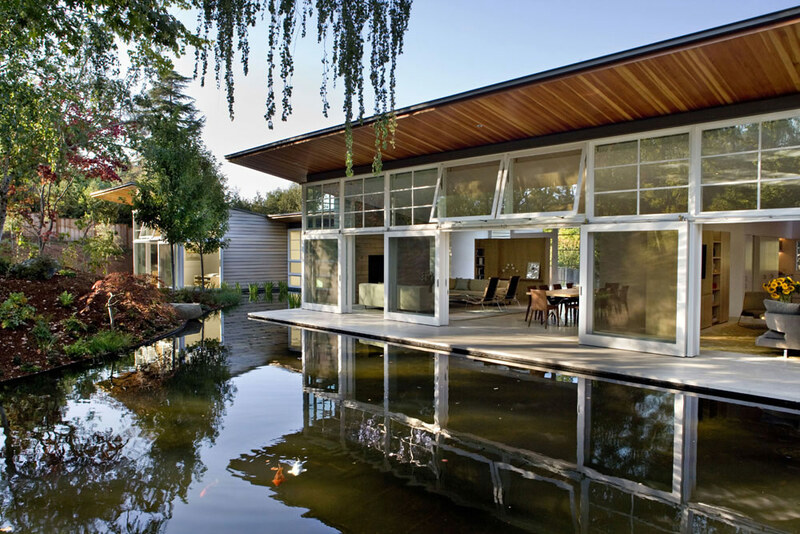 “We visualized this house as a perfect blend of architecture and landscape design.Extended views from a lily pond located next to the heart of the house and a lush green garden comprising plenty of different plants are a speculative experience from the inside.